In the past, faxing required you to have a fax machine, dedicated line service and installations in order to be able to send and receive data. This meant you needed to spend time and money to get everything set up to be able to transmit documents with your clients and offices. Today, when it comes to installing things we want it done quick. It usually doesn’t happen that way, but getting a fax number today will take you less than 5 minutes. Internet fax technology has made great progress, allowing you to use your Gmail account to send and receive faxes within minutes. Best of all, you don’t have to get a dedicated land line because you can use a Google fax number. Put simply, a Google fax number is an online fax number that forwards all incoming faxes to your Gmail inbox. In doing so, you can fax from your computer within Google’s email dashboard. a Gmail account and an online fax service. This service will be the middle-man between incoming transmissions and your Gmail account to help your send and receive faxes through the internet. Email fax services offer different features, but the one we will focus on for this article is the free online fax numbers they offer. In general, providers will give you the option of choosing from a local, toll-free or vanity number. It’s important to select the type that works best for your business. You can also keep your current number and have it propagated to the online service, contact them for more information on how to get this set up. Currently, the only way to get a free virtual fax number is by signing up with an email fax provider. Websites that allow you to send free pages do not offer any options to receive faxes. The amazing part of using a service is that the entire process of sending and receiving documents is done automatically, you don’t have to configure anything or worry about complicated set ups. There are several types of plans, depending on how many faxes you send/receive each month, and plans start at low as $5 a month. There are no contracts, so you can cancel at anytime and your plan also include a free virtual fax number, which makes this an affordable solution for all businesses. Is it possible to get a free Gmail fax number without a monthly fee? You can get your own number right now if you sign up with a service that offers a free trial. Your free trial account will come with a free number and will give you access to all the features for up to 30 days. You won’t have to pay a penny unless you decide to keep your account after the trial period is over. This is a great option because it also gives you the opportunity to review the service before signing up to see how effectively it can help your business. The providers we recommend can be easily integrated with Gmail. They are great services for all types of businesses, big or small. Most importantly, you can try any of them for free before signing up. One of the leading providers, a complete set of features to manage your documents. A great option for business that handle a lot of faxes and want the best of the best. They offer local, toll-free and vanity numbers in the US, Canada and UK. This service has great ratings worldwide for their excellent service and is a favorite for international customers because they offer numbers in over 42 countries. This makes is the biggest fax company up-to-date and you can also pick from local or toll-free international numbers. Immediately after you sign up you can being receiving faxes. When someone sends you a fax, either from a machine or computer, it will be automatically be converted into a TIFF image and sent to the providers servers, which convert this image into a PDF and finish up delivering it to your Gmail inbox. This is what goes on behind the scenes, you just have to wait for faxes to be delivered and it’s ready for you to print, forward or save. All providers offer local numbers in the US but you can also use services such as RingCentral, MyFax and eFax to get a number in countries such as UK, Canada and others. It’s important to use a number where you business is located, if you have clients from around the US then a toll-free number is a good option. 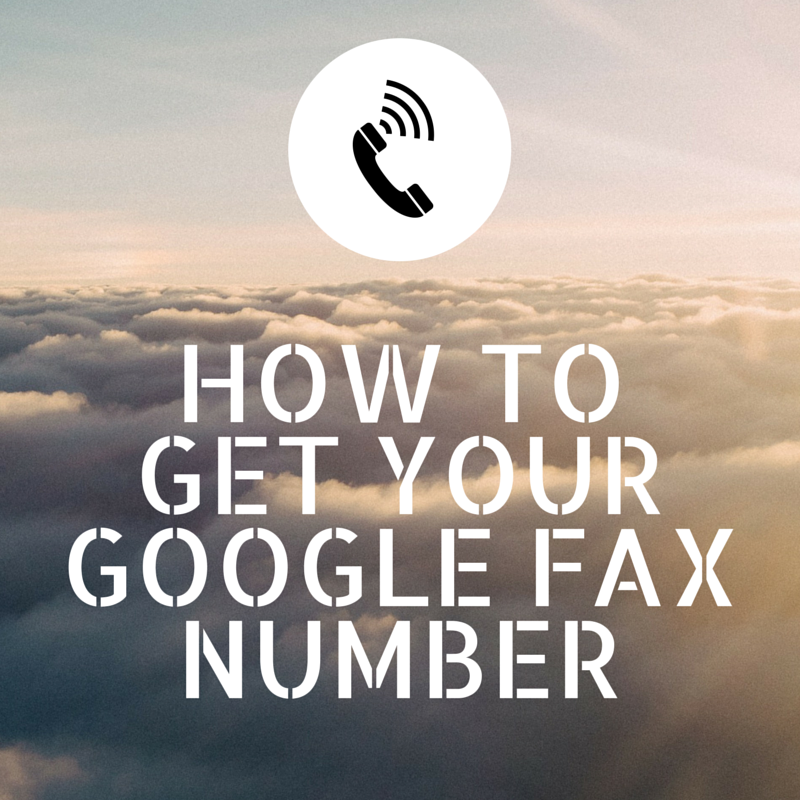 Take your time to choose the right number for your business and rest assured that your Google fax number is a great communication tool that’ll help your business grow. Do you want to keep your current fax number? If your business already has fax number it’s important to keep the same number to avoid delays in communication. You may want to transition over to online faxing but with your current number, fortunately this is possible. The way this is done is through number porting. The process takes your current fax number and transforms it into a digital line, allowing you to fax through the internet. The transition can take up to a week to be completed, but most services will give you a temporary number in the meantime. If you plan on porting your number be sure to use a reputable service, sometimes it is best to spend more on a quality provider that knows how to handle this transfer. Did you know that the fax machine was reported as the most energy consuming office machine? You can’t unplug it because doing so will put you at risk of missing an important fax! You can send and receive faxes from your Gmail. You can send and receive faxes on your smartphone. You can fax from your cloud storage such as Dropbox or even Google Drive. You don’t need a land line. You can store your documents online. You can sign your documents electronically. And most importantly, you get a FREE fax number. It only takes around 5 minutes to sign up, pick your number and start your free trial. After that you’ll be able to send and receive faxes no matter where you are. If your business keeps you on-the-go, then you’ll have piece of mind knowing that you can view your received faxes on your cell phone or send a fax from any part of the world through your email. You no longer have to worry about complicated telephone line installations or malfunctions. Say good-bye to those paper jam days and forget about running out to buy toner at the last minute. Faxing will no longer be restricted to a stationary office machine. Break free and start enjoying the new and smarter way to fax.